Many people will get to smoke their first Cuban cigar and many of them will be disappointed, especially at the construction and the lack of maturity. The plugged draws, tannins, and ammonia notes will stun would-be aficionados. The price of Cuban cigars is going to shock many smokers but the lure of the forbidden fruit will force them to try a Cuban at least once. Subsequently many smokers are going to be so upset that they will never pony up 30 bucks for a Cuban cigar when a Padron is only 25 bucks. In a nanosecond cigar posers will state that they are strictly Cuban cigars only. The proliferation of fakes will inundate the market and many will not know the difference. They will be in a state of bliss due to ignorance but eventually they will have to give up. Be on the lookout for 70 ring gauge Cubans which will be 99% fake. Cigar lounges will get a shot on the arm with new patrons seeking the forbidden fruit. Once the hype dissipates they will resort to an ACID (this is not a diss to the candy cigar lovers). Rum aficionados will be the true winners because unlike cigars Cuban rum is truly exceptional but its not the absolute best just because its Cuban (try some Ron Zacapa or Don Q for proof of that). The spike in new sales will erode the quality assurance process and the performance of Cuban cigars, which is already horrible, will get worse as the production process is stressed to the hilt. Cigar aficionados will come to the understanding that the Nicaraguan, Dominican, Mexican, and Honduran cigars they were already smoking are just as good if not better than the Cubans they have been denied for so long. 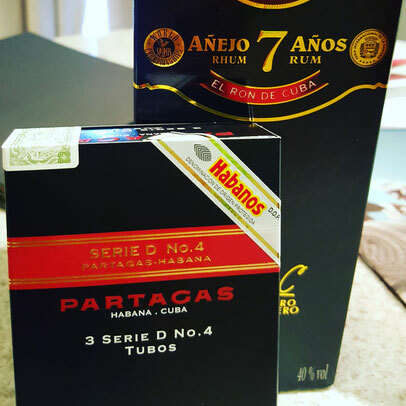 The unknown Cuban brands from small farms will slowly get a lot of attention with superior quality and a more attractive price than the likes of Cohiba and Montecristo. Sales of current brands will decrease for a short while until the market starts reach an equilibrium. In other words, smokers will more along the experience curve and dispel the myth of unequivocal Cuban cigar superiority. That being said I will repeat that when a Cuban cigar is on its A game it's almost unbeatable but just because a cigar is Cuban does not mean that it's good.